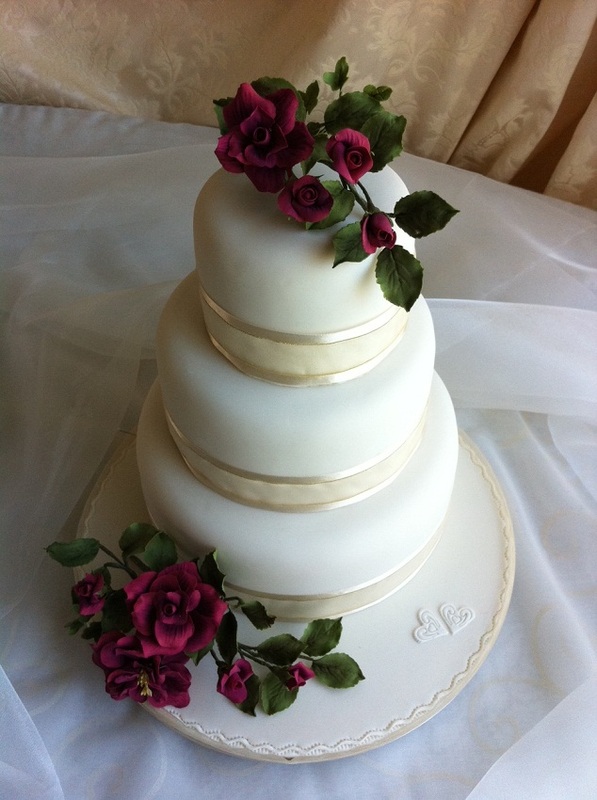 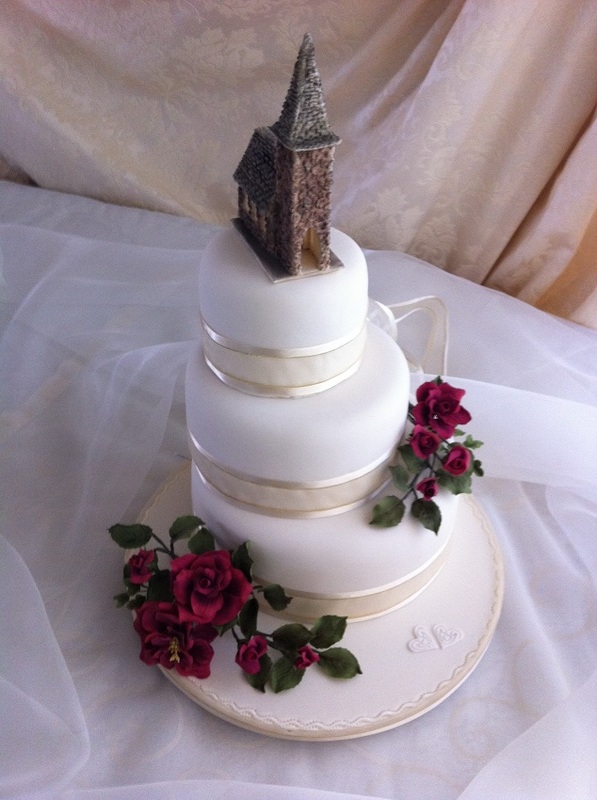 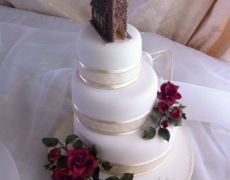 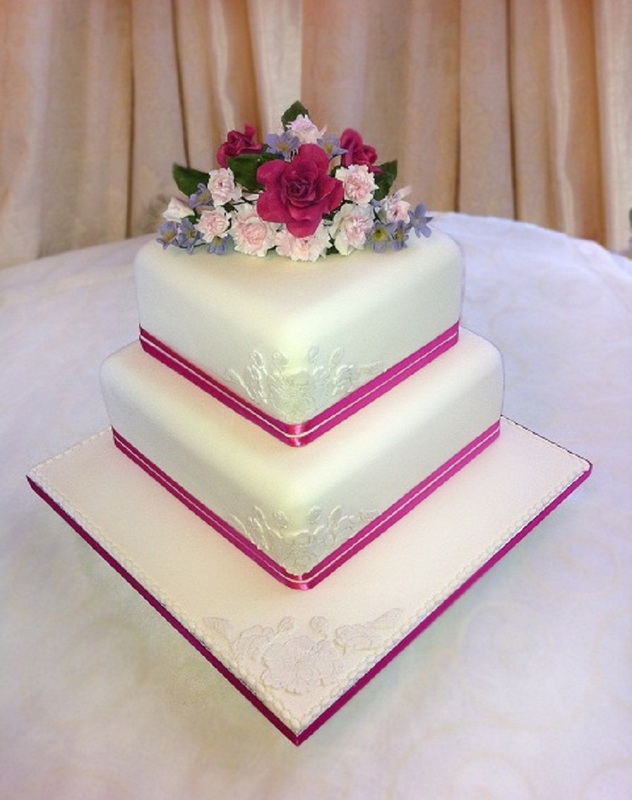 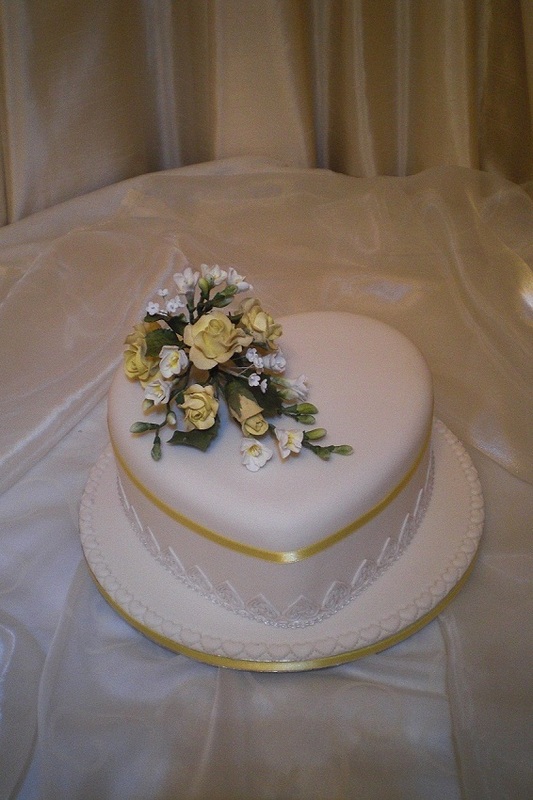 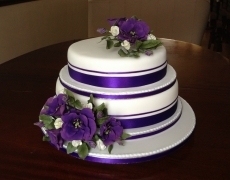 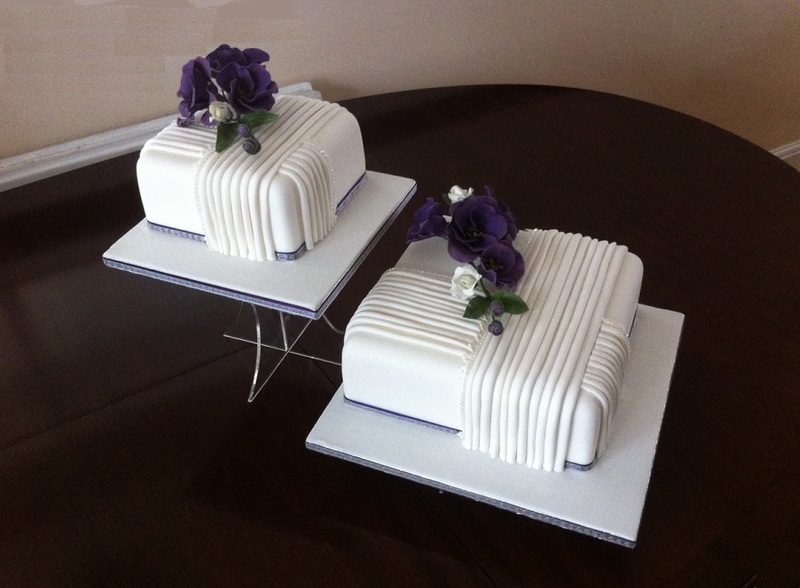 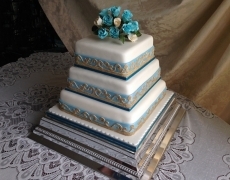 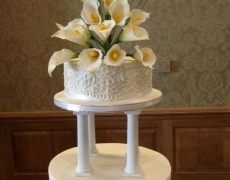 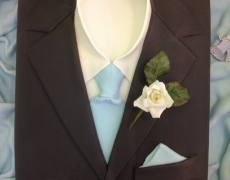 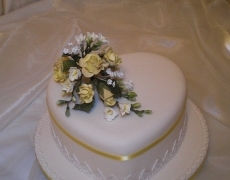 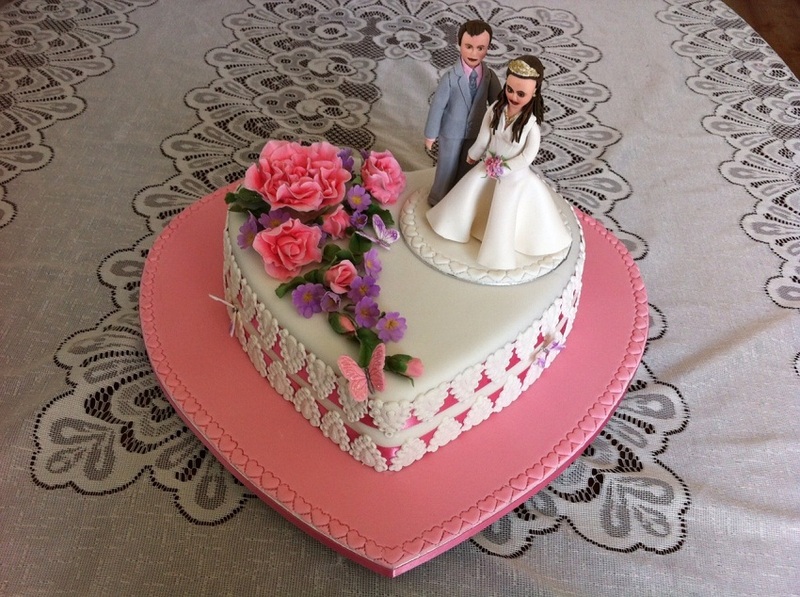 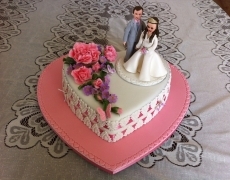 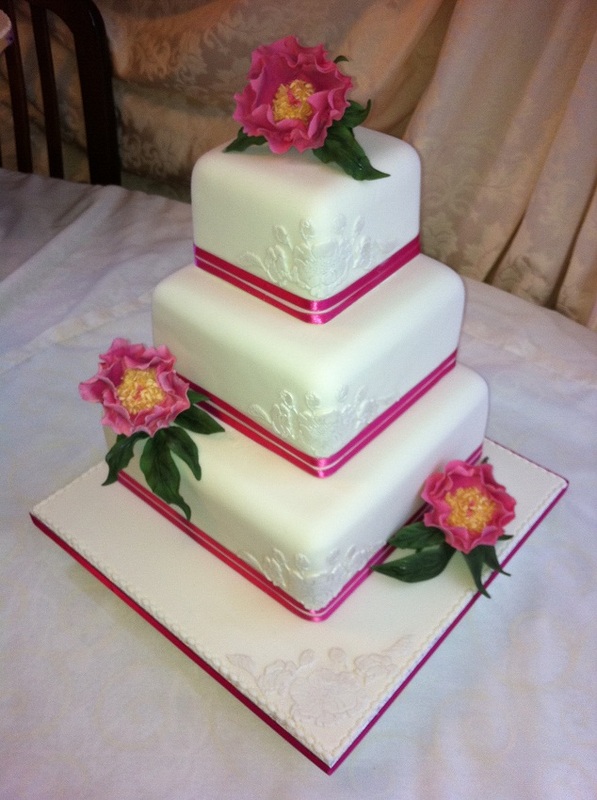 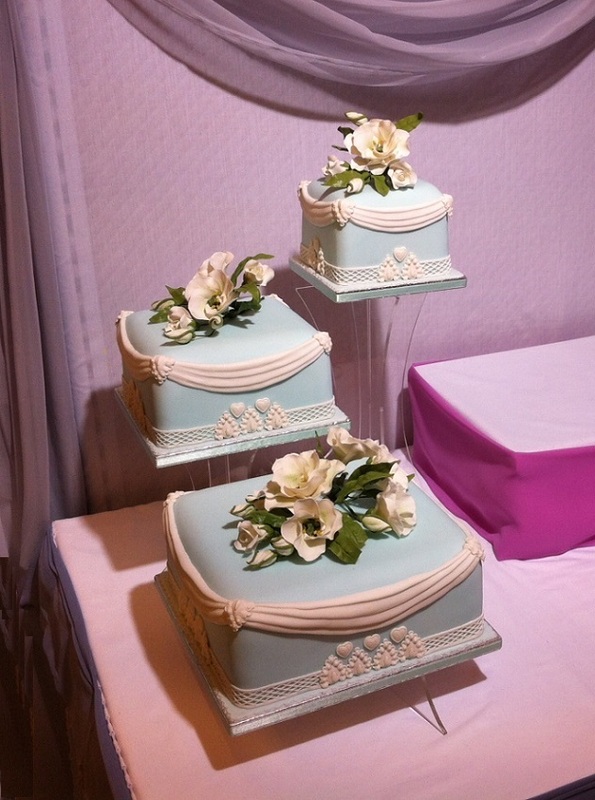 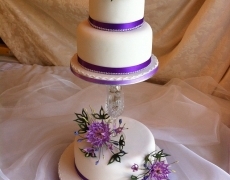 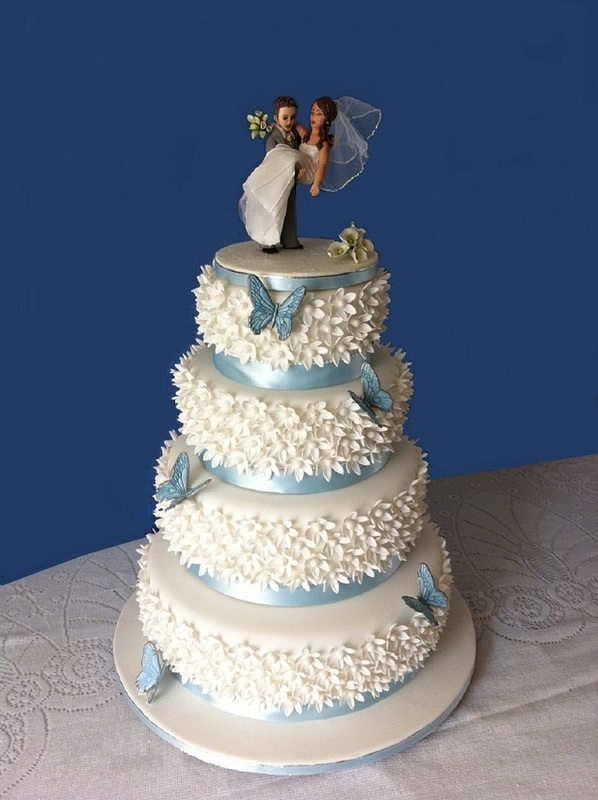 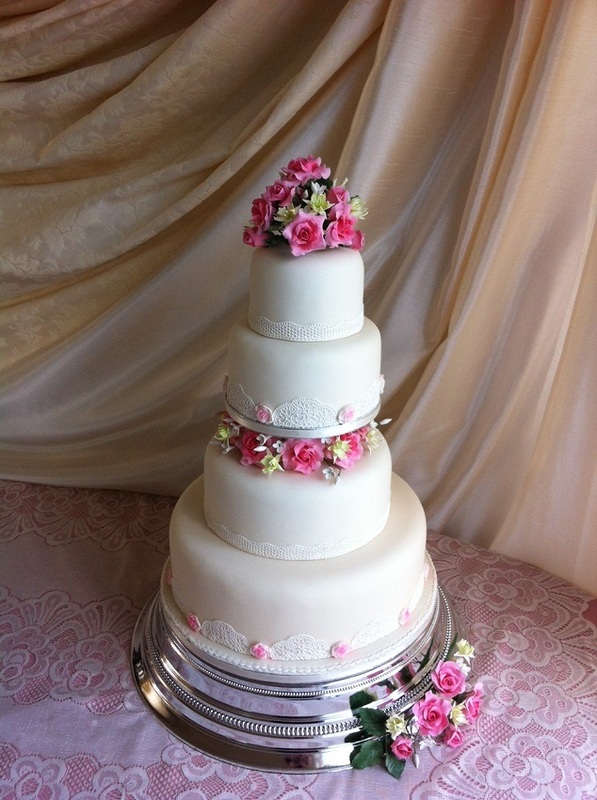 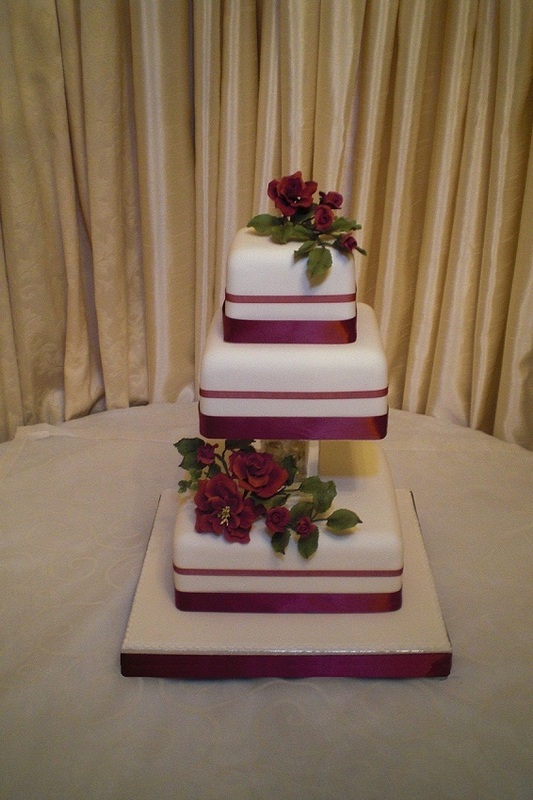 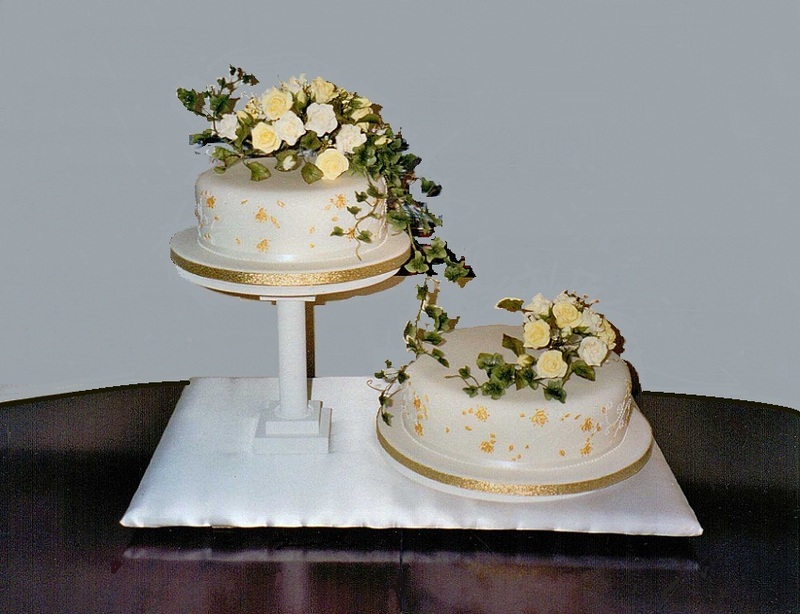 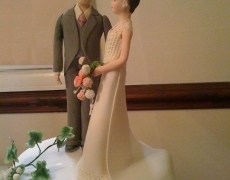 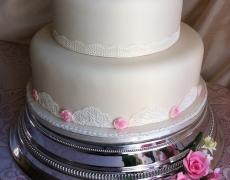 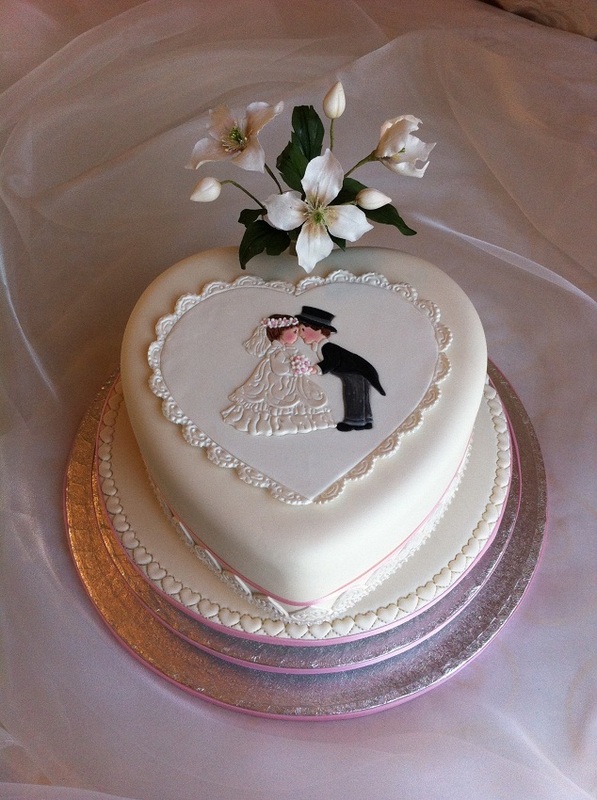 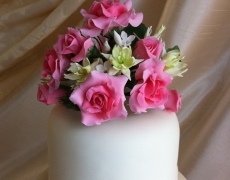 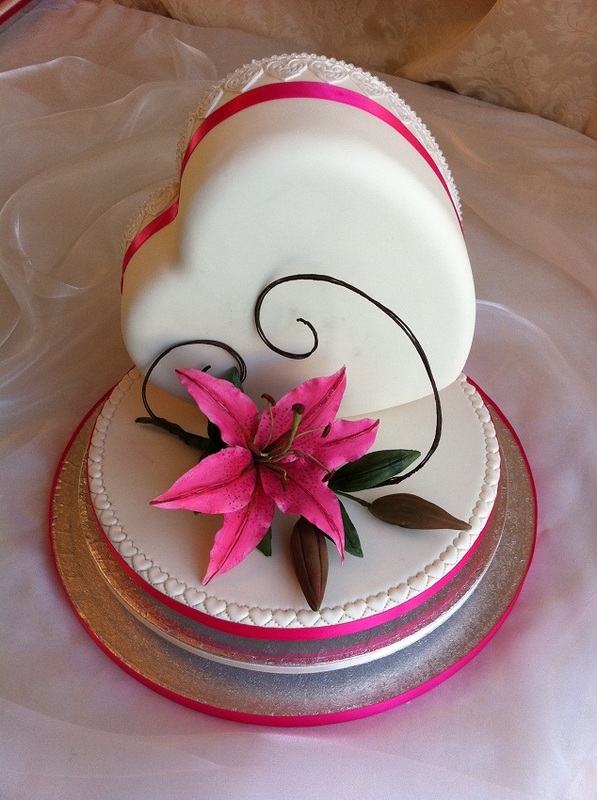 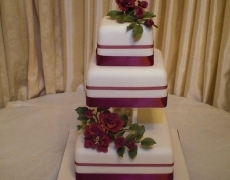 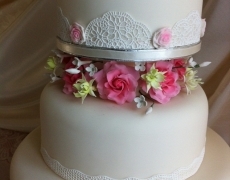 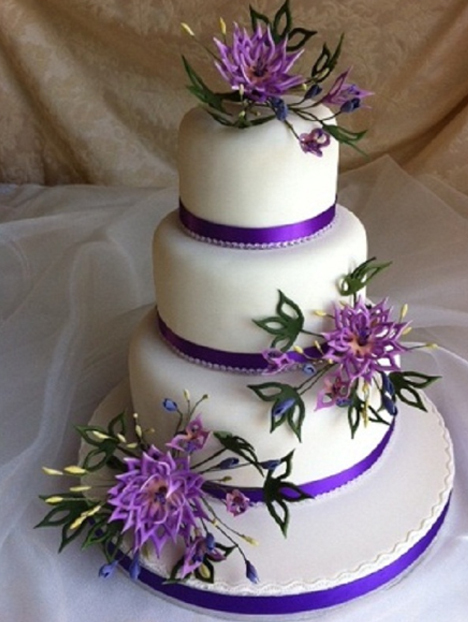 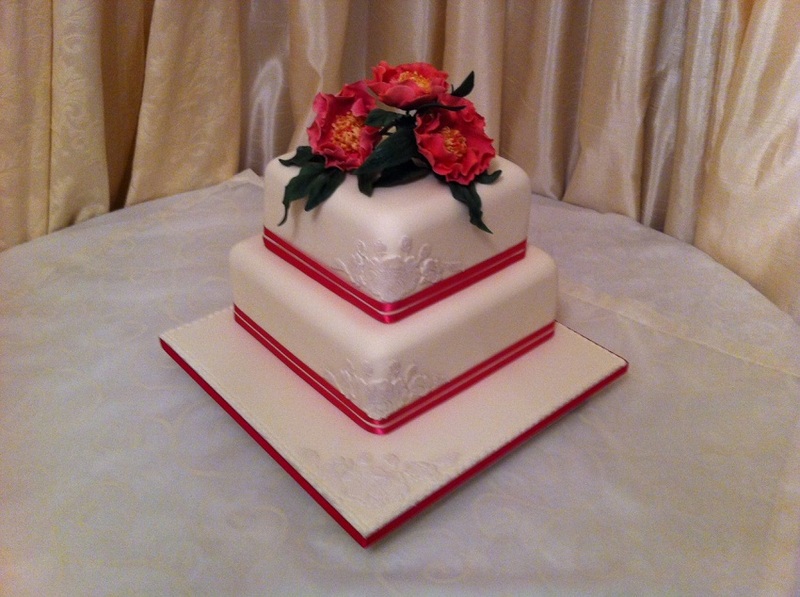 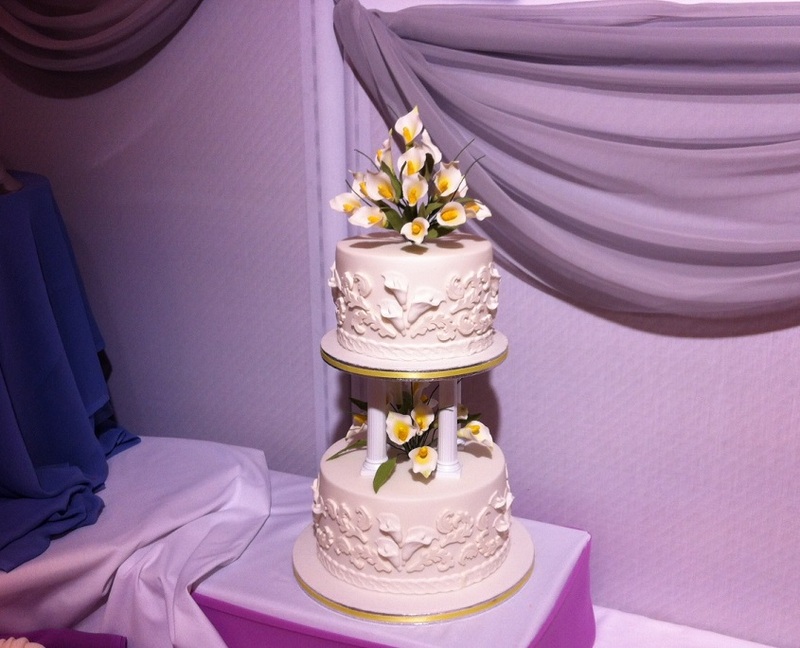 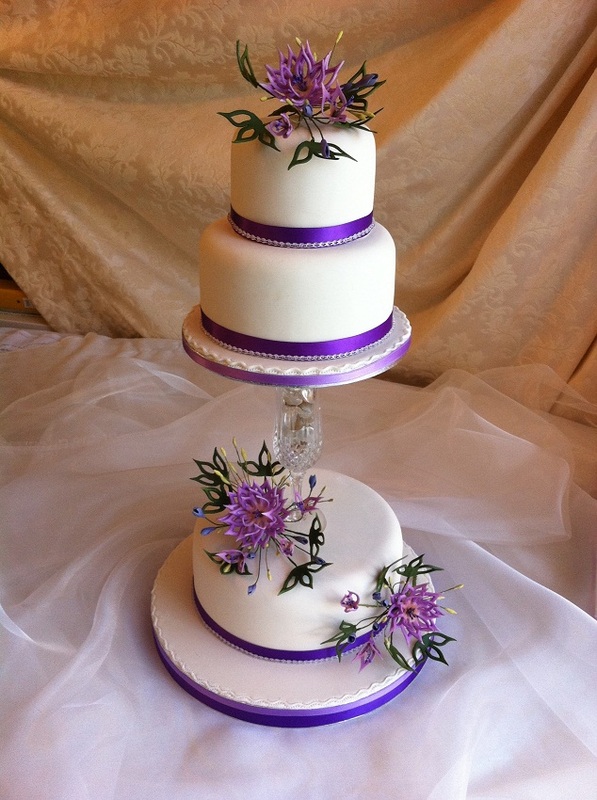 Wedding cakes are available in single or multiple tiers and are individually created and personalised to incorporate wedding theme colours, flowers and table decorations and details from wedding attire if required. 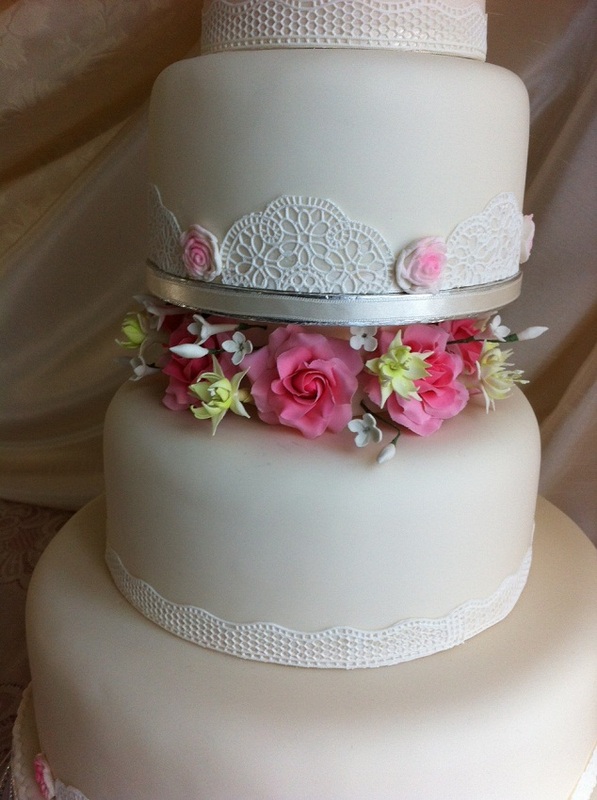 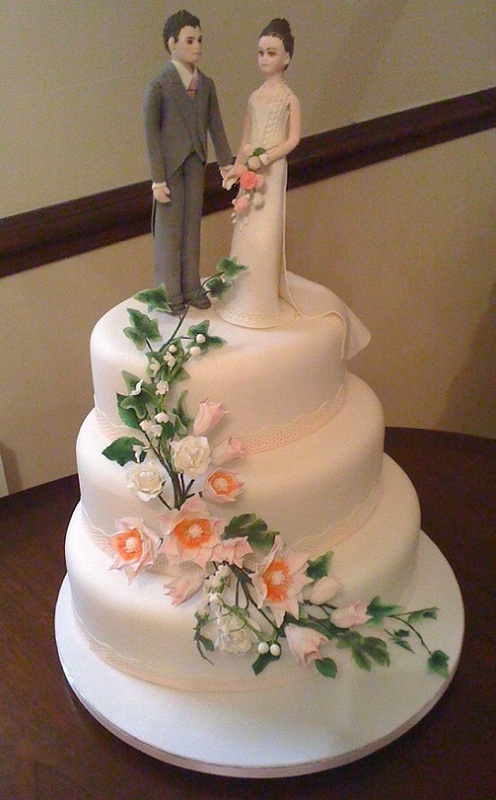 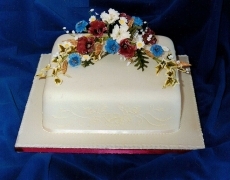 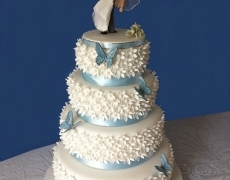 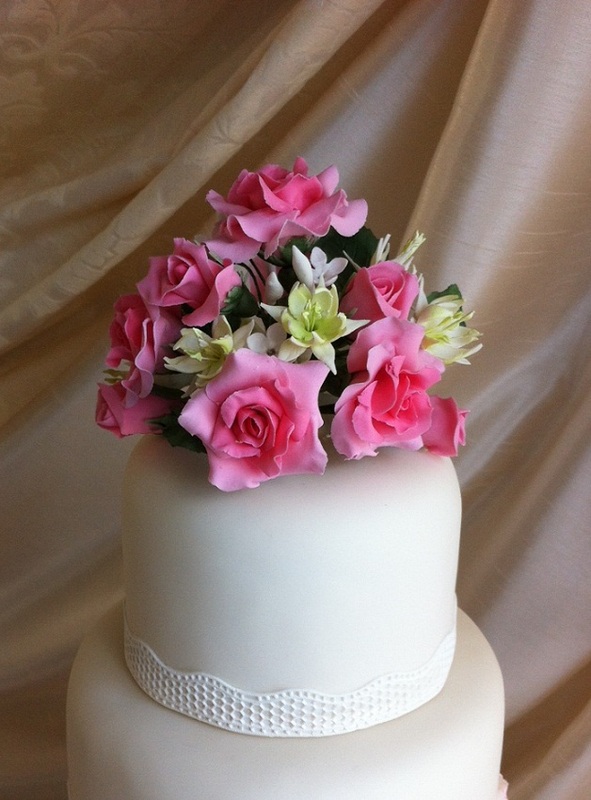 Design elements may include sugar flowers, lace work, ribbons, bows or a design of your choice. 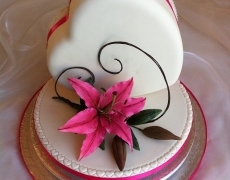 Flair 4 Cakes have been baking Wedding Cakes for over 20 years now and currently run a cake business out of Brighton, all the time learning and building their skills whilst keeping up to date with the current trends for wedding cakes which, over the course of 20 years, is no mean feat. 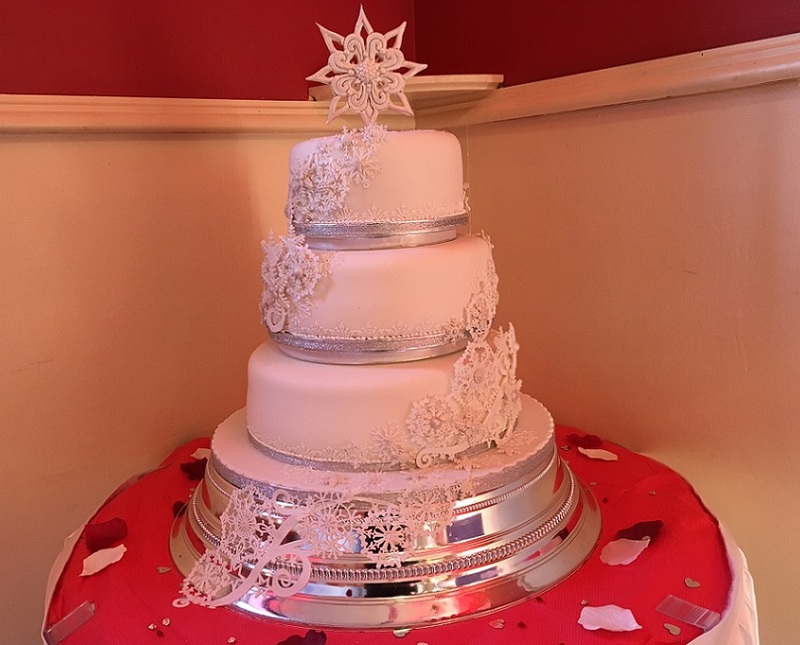 Sacramenta, head baker and owner & proprietor of Flair 4 Cakes, has not only earned accolades in the world of baking but has also won many awards for her general artistry, including successfully winning a Christmas card decorating competition. 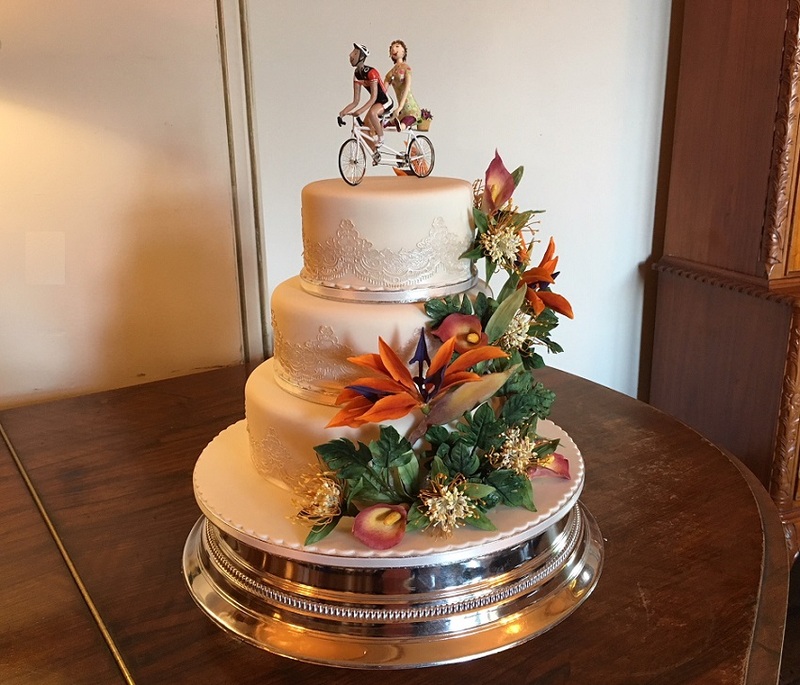 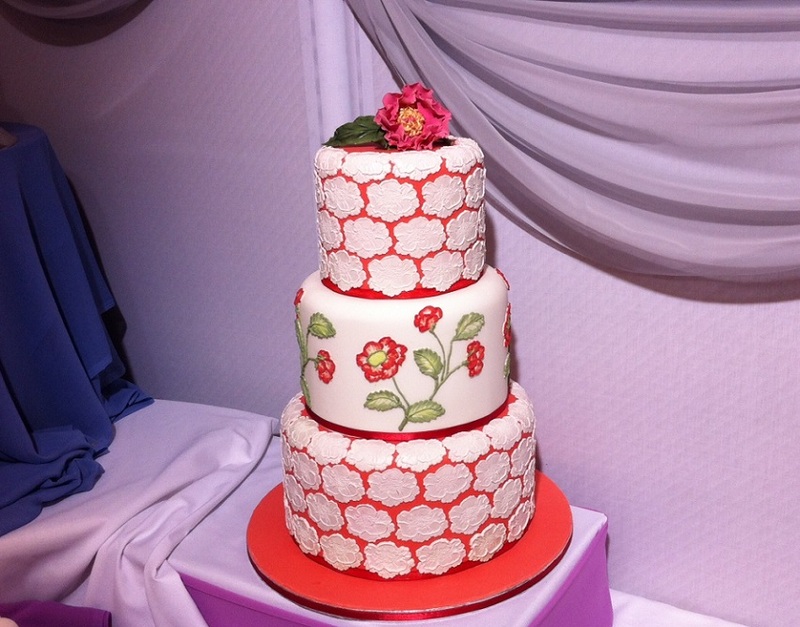 Naturally this inherent artistic talent and eye for design translates to Sacramenta’s design and creation of the Wedding Cakes that she hand-bakes in her cake studio. 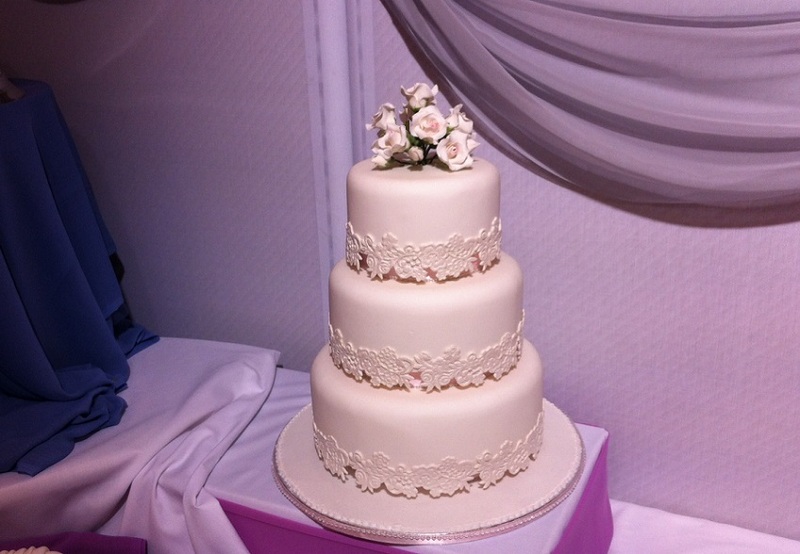 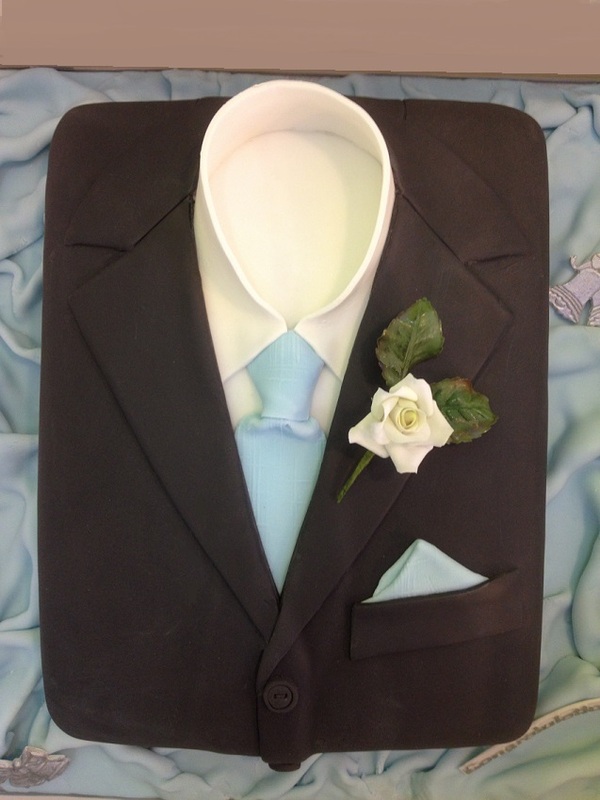 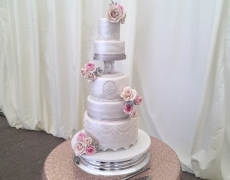 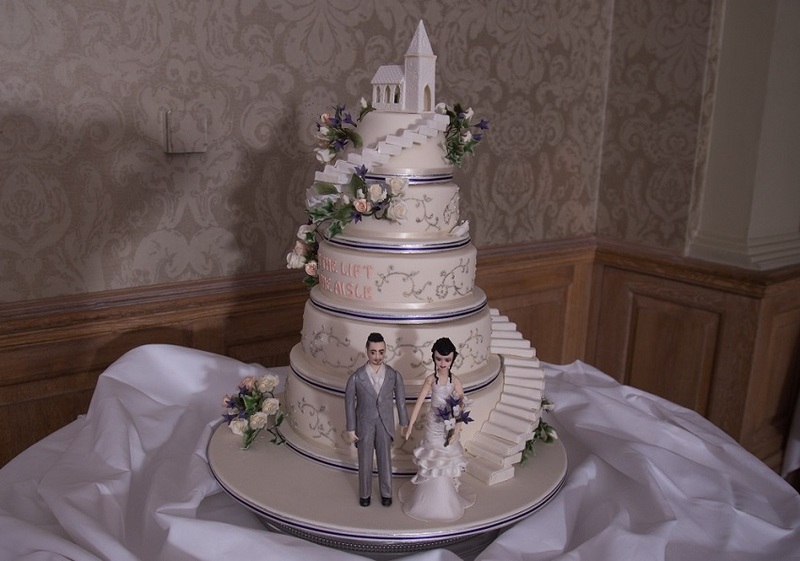 Over the years, Flair4Cakes have developed skills in all the right places, so when it comes to ordering that perfect and bespoke cake for your wedding, you’re in the right place with us. 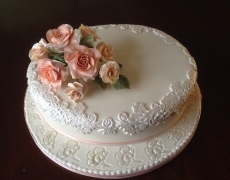 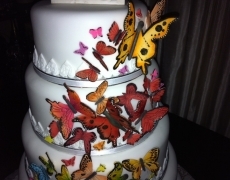 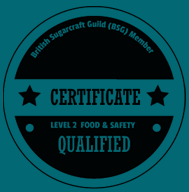 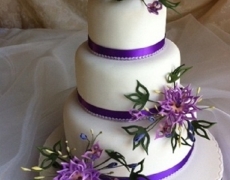 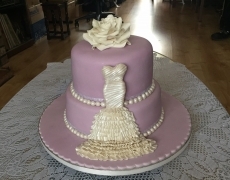 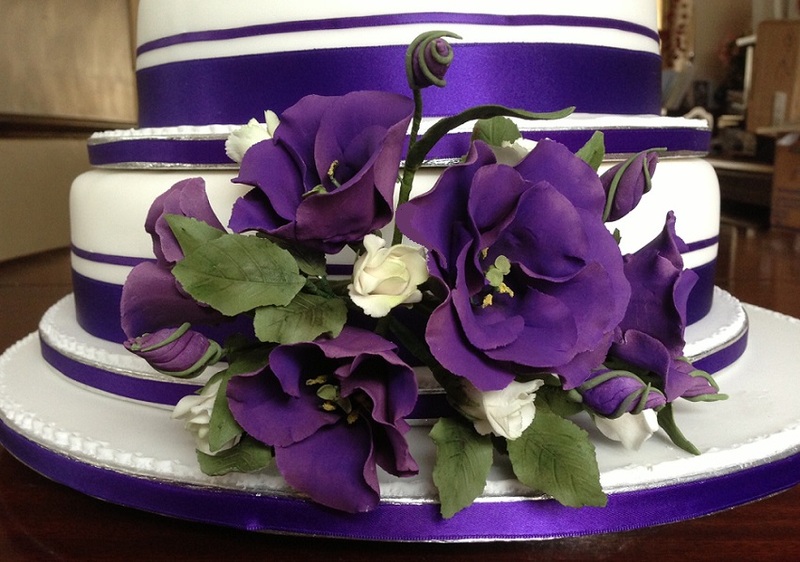 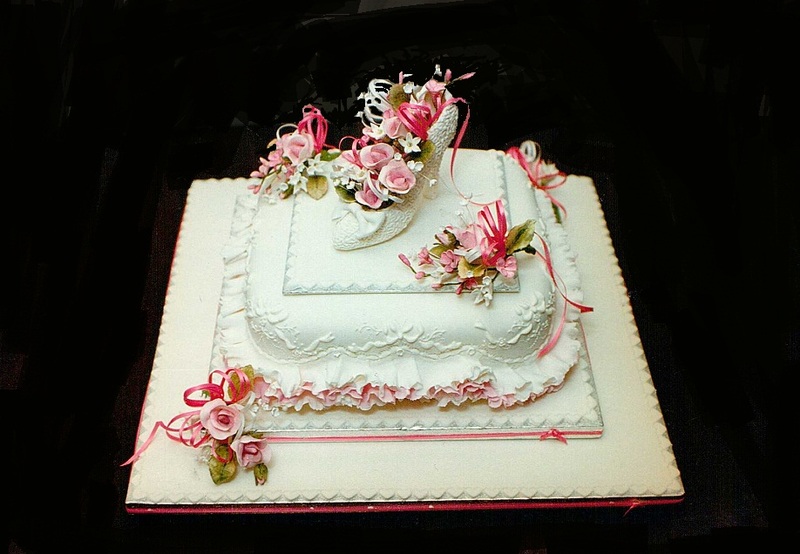 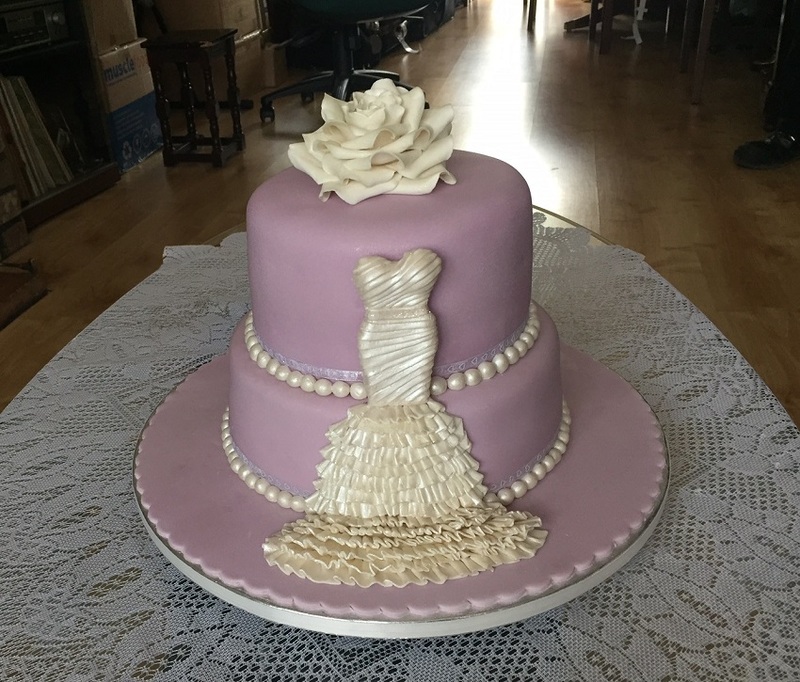 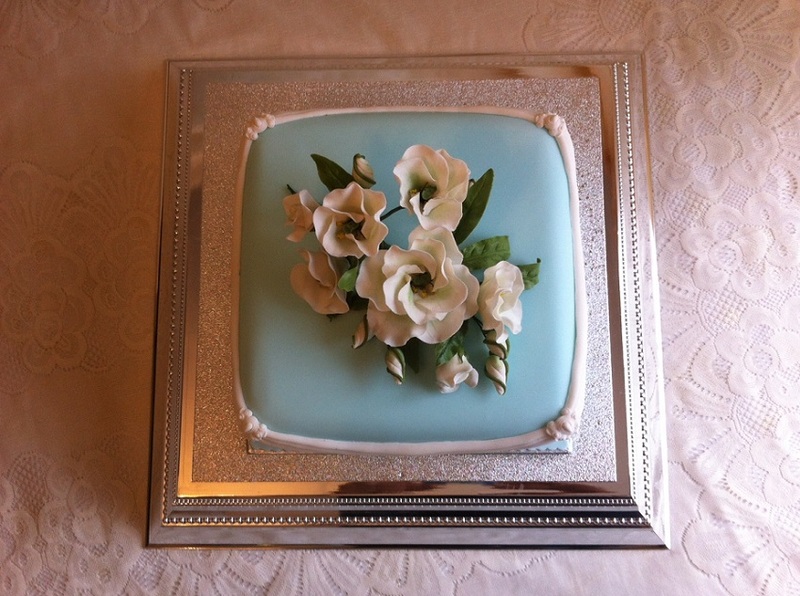 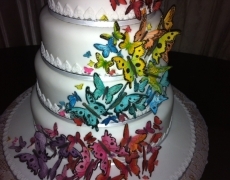 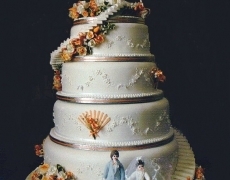 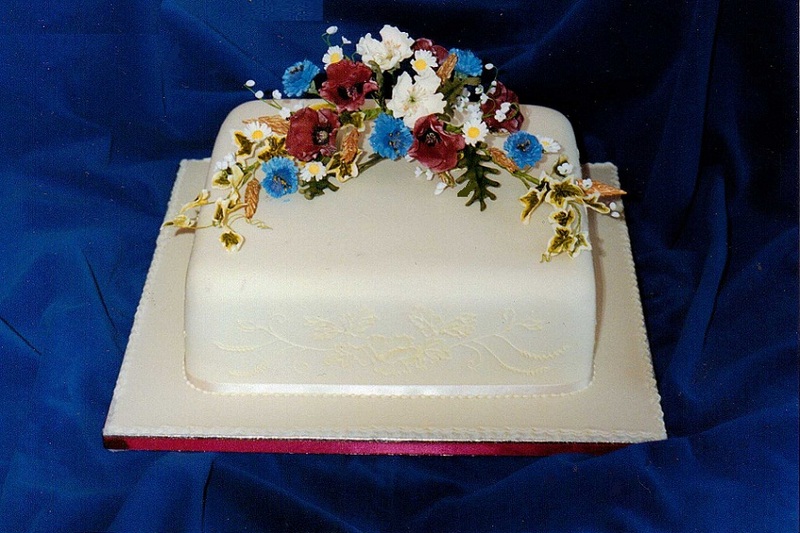 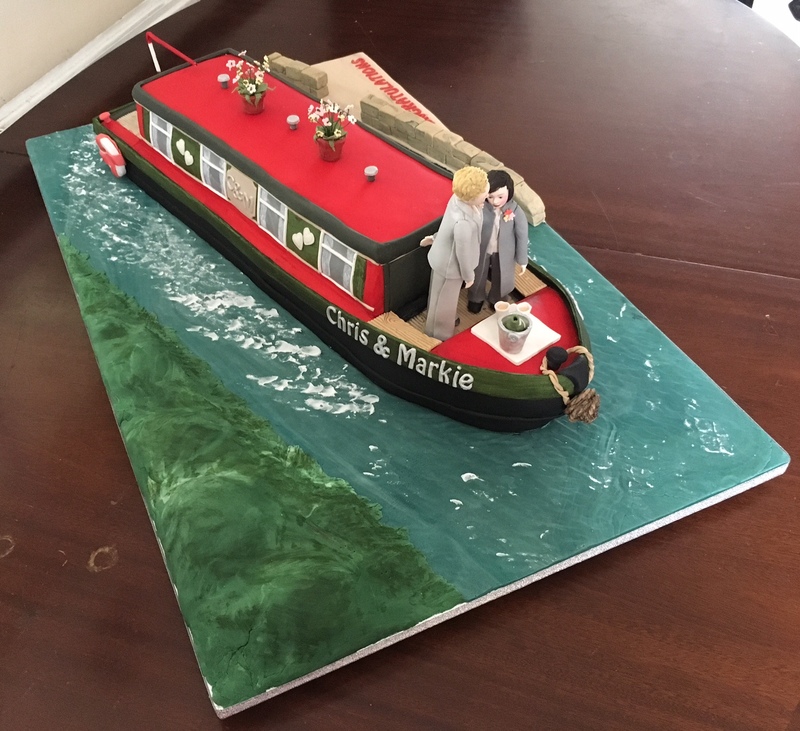 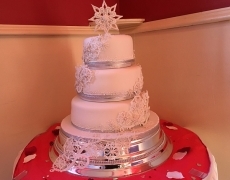 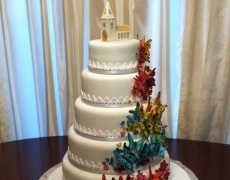 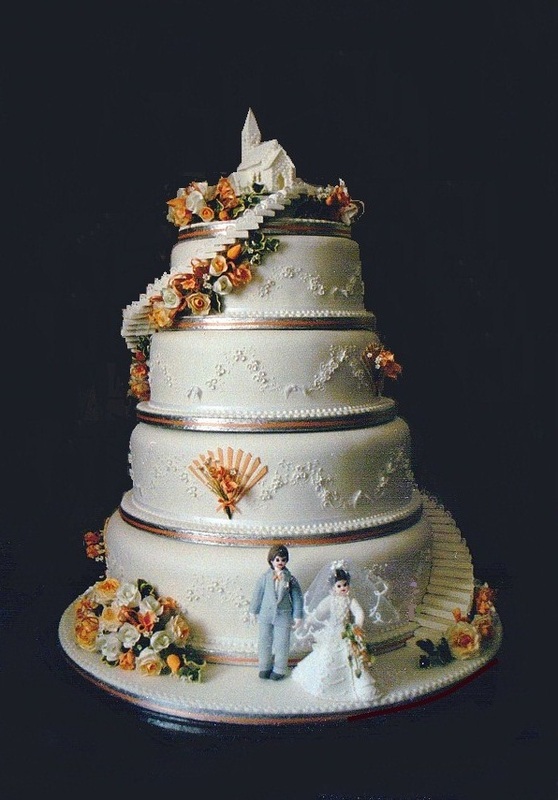 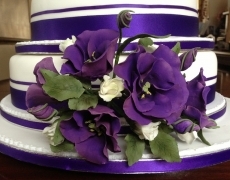 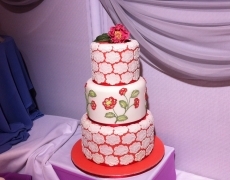 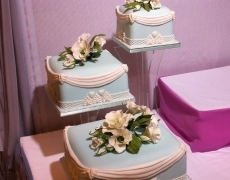 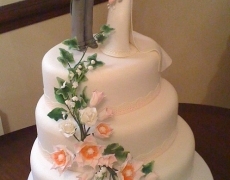 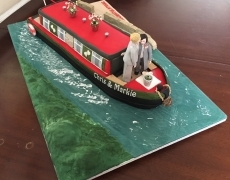 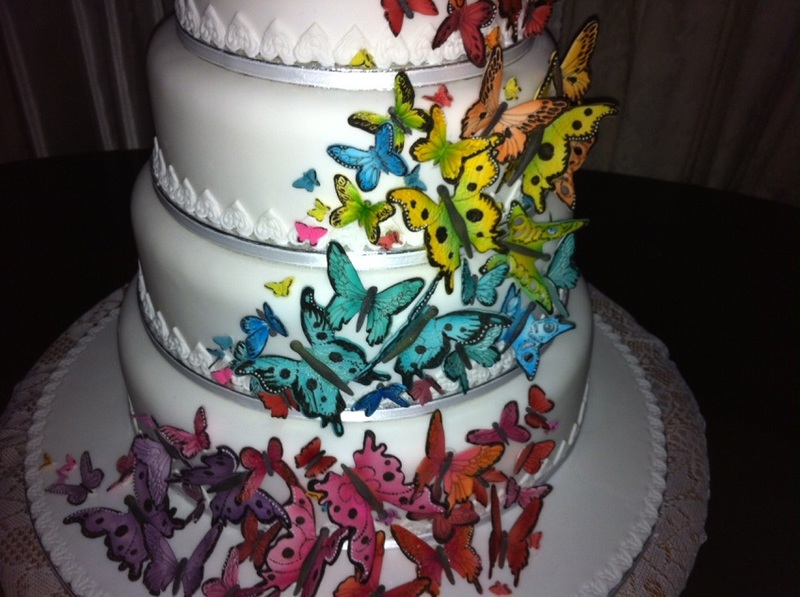 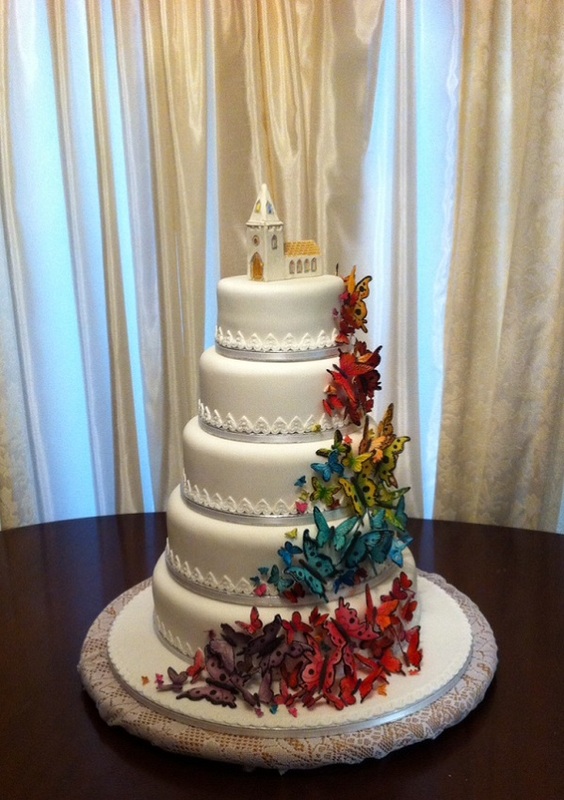 Examples of skills attained include: Royal Icing, Sugar Paste Icing, creating exotic Frills and Flowers (wired and non-wired), Extension work, Run-Outs, Embroidery, Brush Embroidery, Bas Relief and Modelling Work. 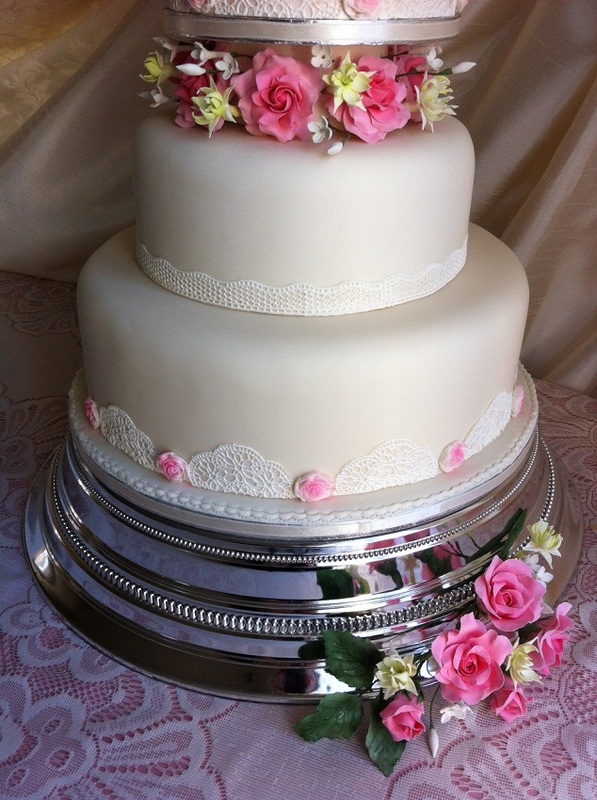 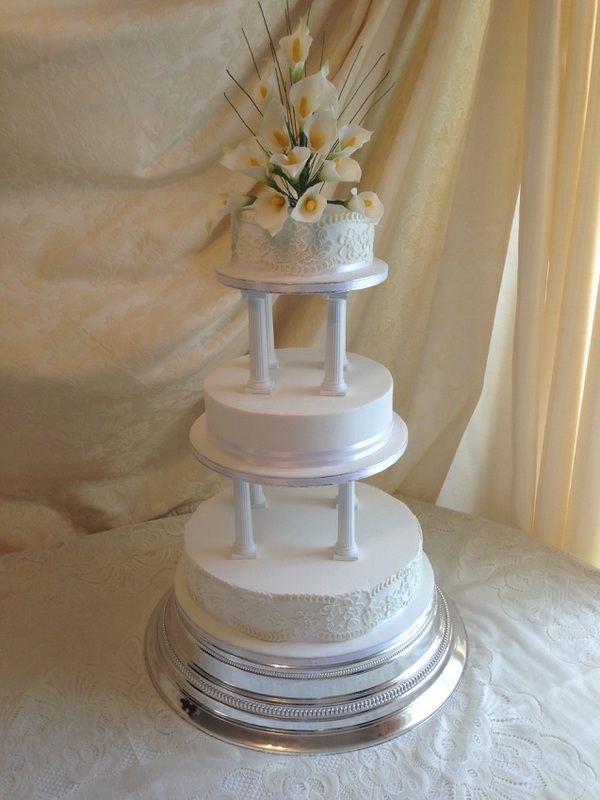 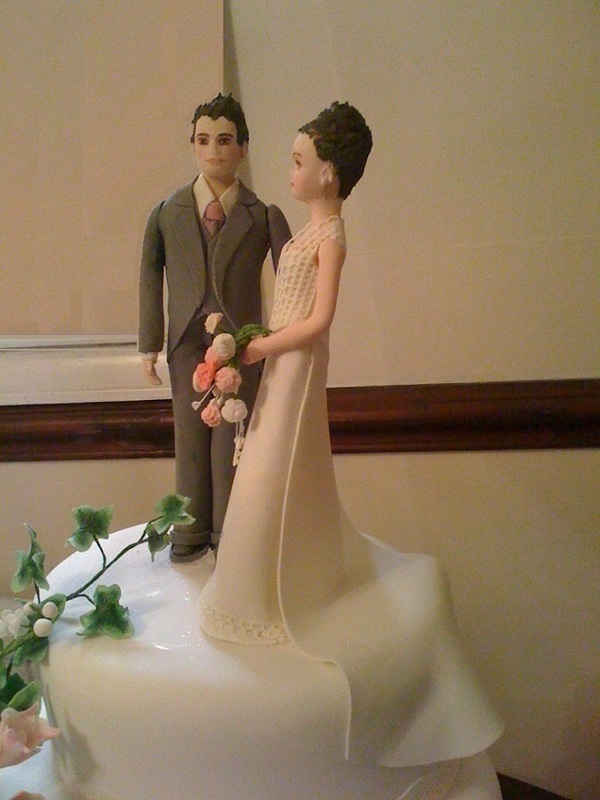 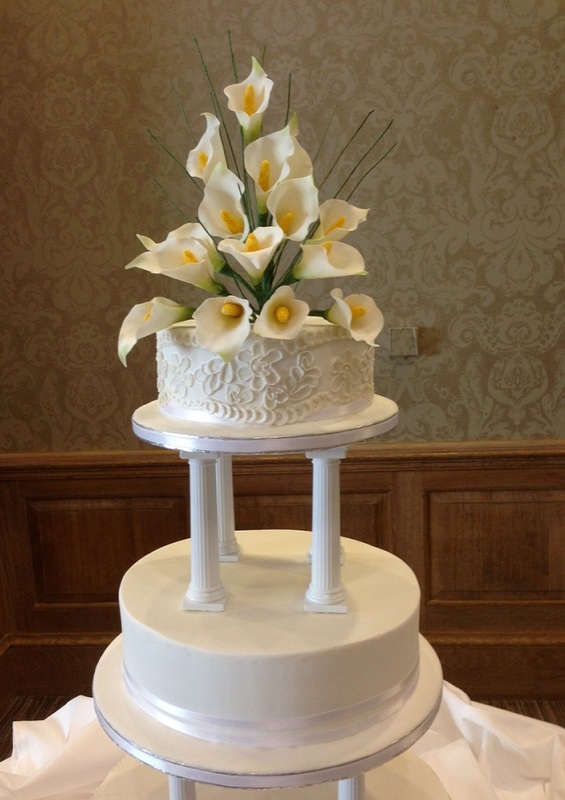 If you already have your wedding cake ordered, why not browse our selection of cake stands as well? 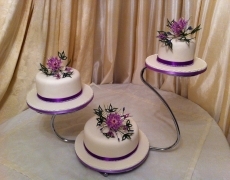 We currently stock an expansive selection to choose from including one tiered cakes stands, two tiered and even three-tiered as well. 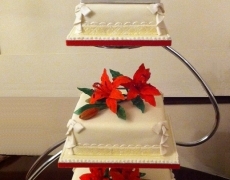 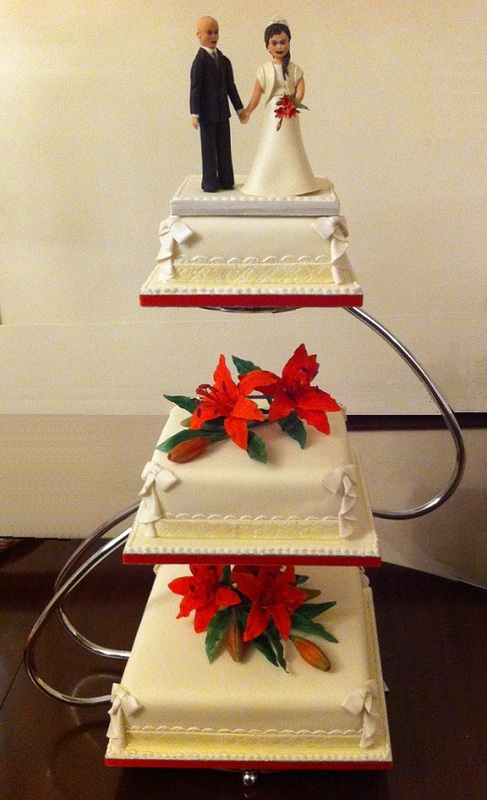 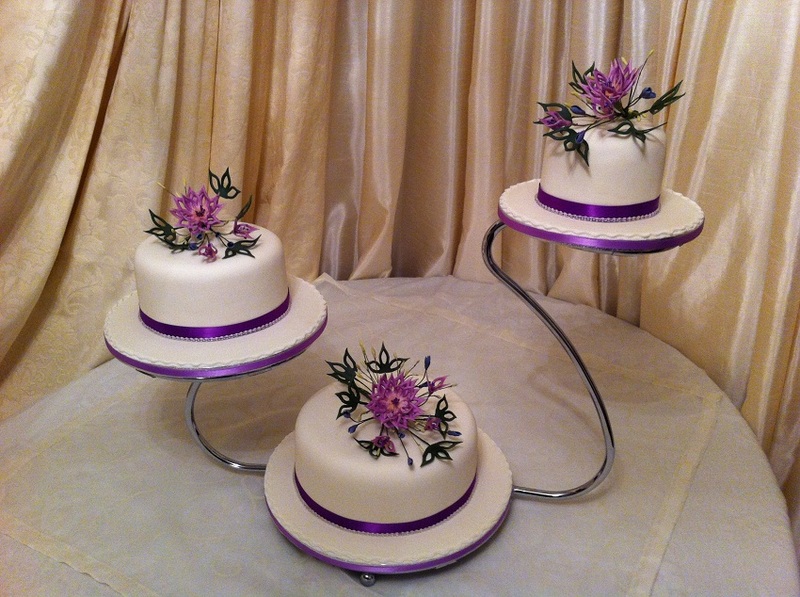 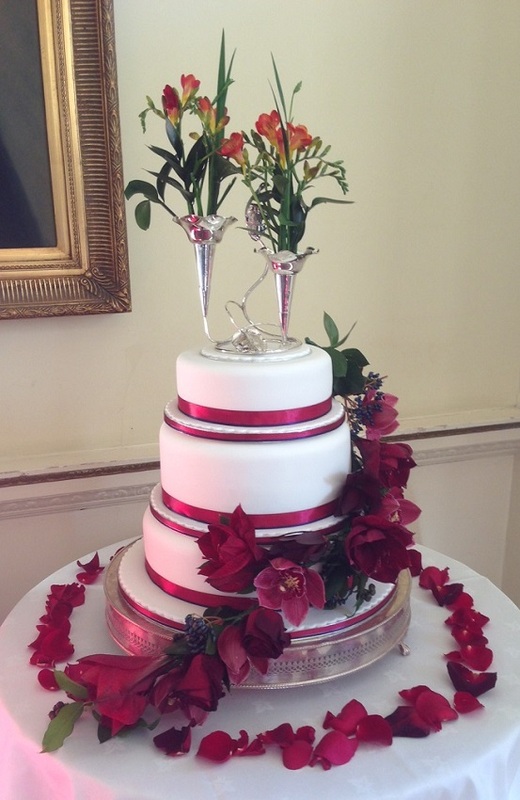 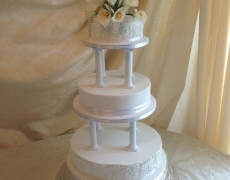 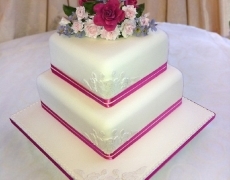 We not only vary in tiers but can offer different styles of cake stands. 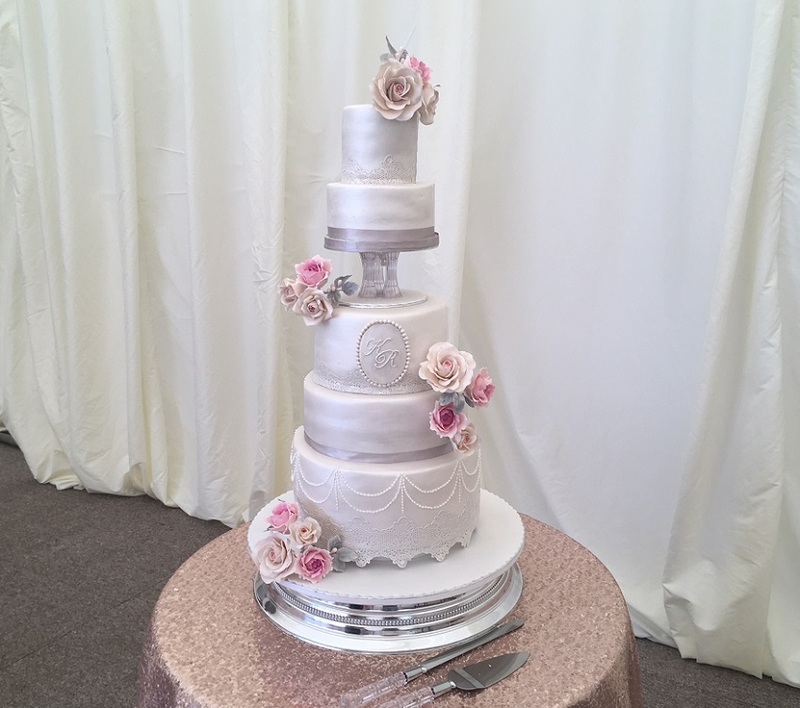 From the elegant swan to the C-shape, S-Shape, Square, Satin-covered and even varying sizes of cupcake stands, we can provide the right stand for all wedding cakes. 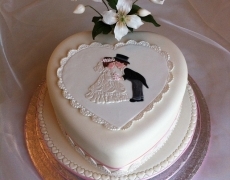 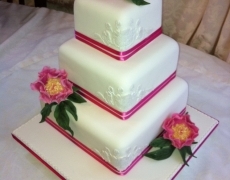 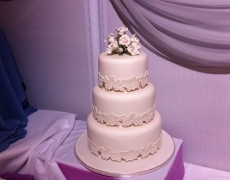 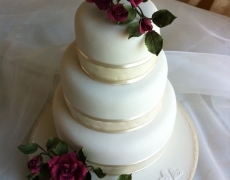 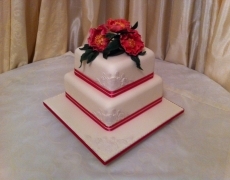 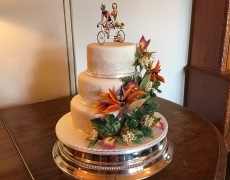 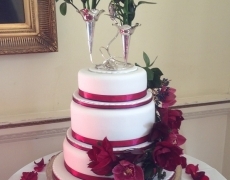 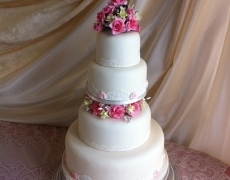 Our Wedding cakes, that are so beautifully crafted, can be made in various types of sponge or the traditional fruit cake, to meet any dietary needs or if you’ve a different idea for a cake filling give us a call and we can give you a quote.